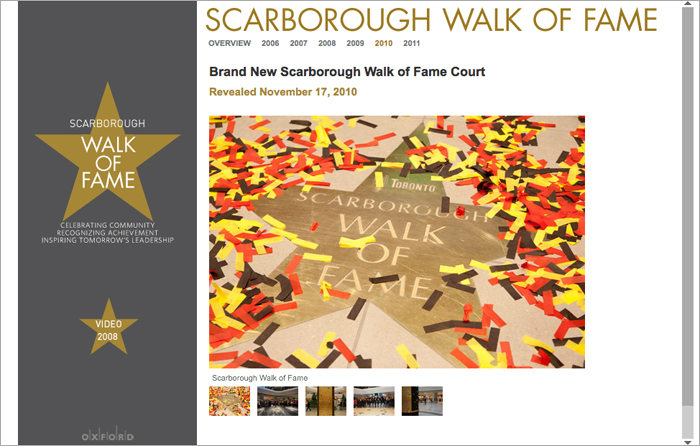 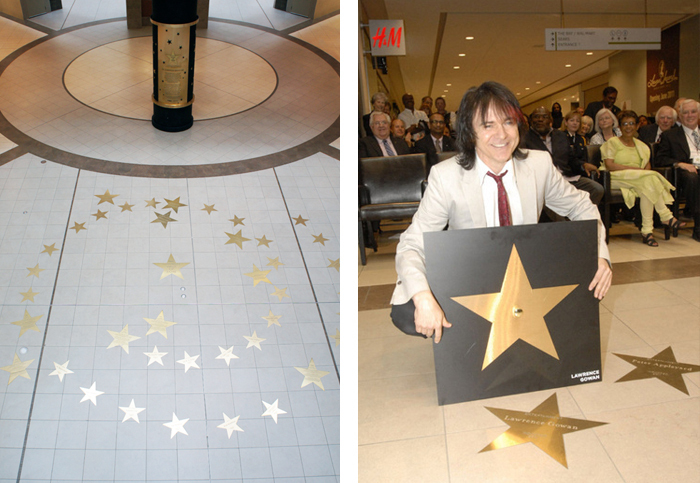 A new design for the re-located Scarborough Walk of Fame was required as part of the $62-million transformation renovation of Scarborough Town Centre. 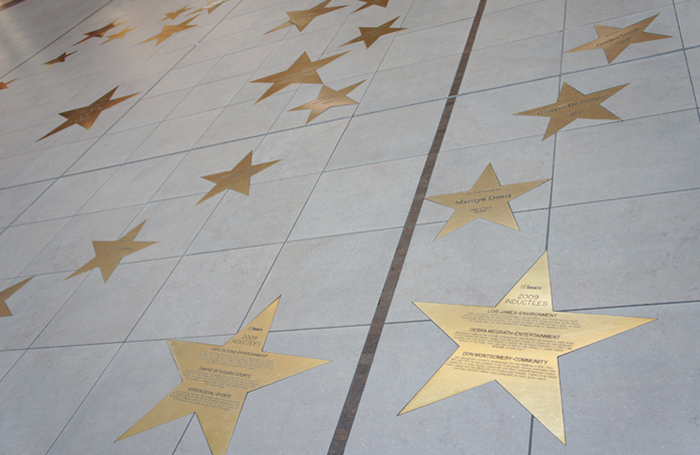 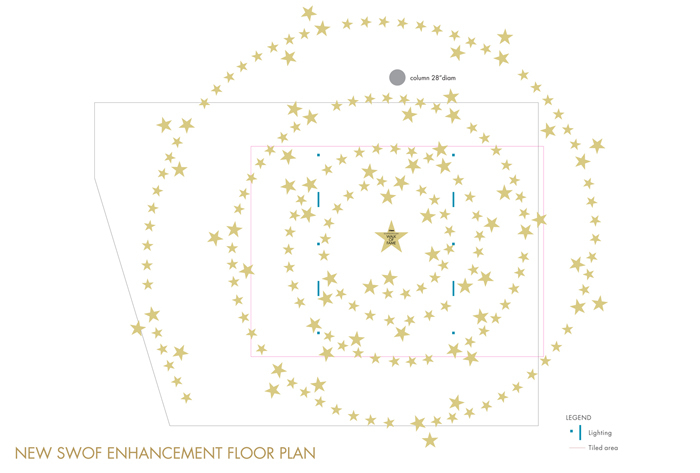 DNA’s innovative solution was a “Spiral” designed floorplan consisting of etched brass “inductee” stars, placed chronologically around a central Walk of Fame Star, with secondary “biography” stars providing information about each inductee. 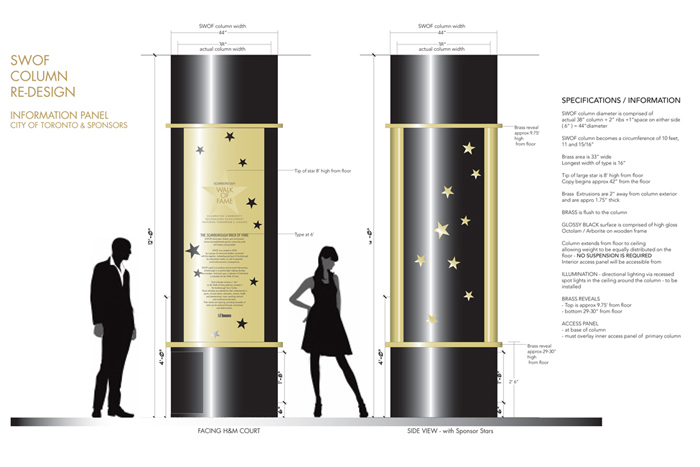 A column adjacent to the court anchors the design, increases visibility, and provides a method to display information about the Walk of Fame. 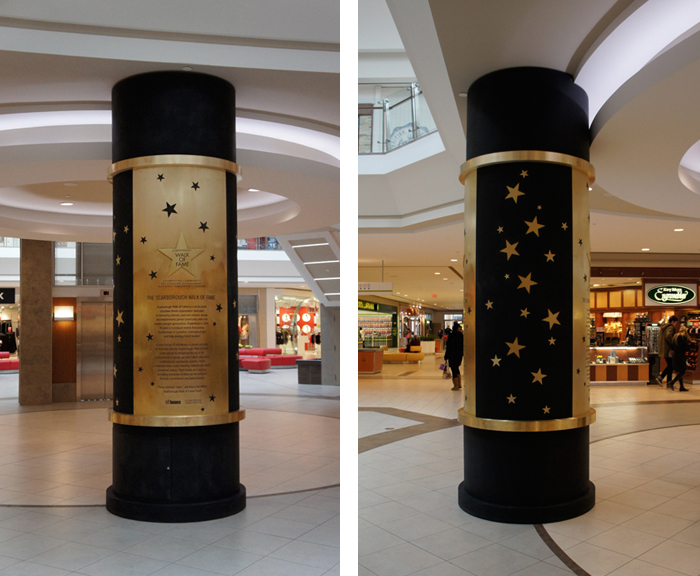 The column bears etched brass panels perforated with stars that mirror the elements of the Spiral floor design. 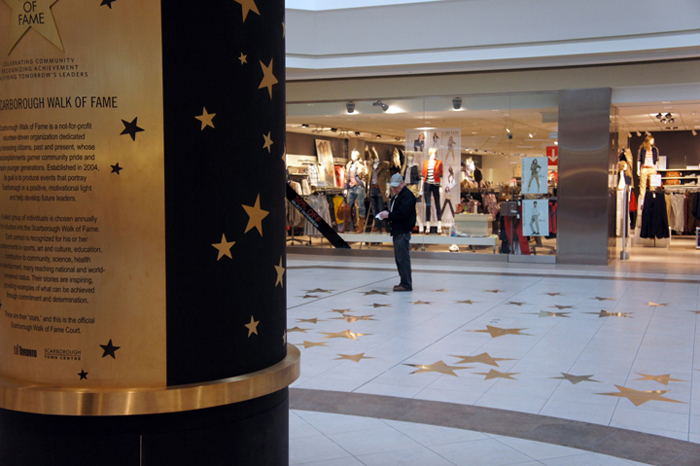 This unique design also addressed requirements for additional stars, public accessibility and higher visibility, affording a view of the Walk of Fame from the upper level of the shopping centre.